Your company parking lot might not be on the forefront of your mind when you're thinking about how to appeal to new customers. But you'd be surprised just how much the appearance of your parking lot impacts consumer decisions. Parking lots are an extension of your property building. That means if you have potholes and dead plants scattered around your parking lot, your customers are likely to think you don't care about your business. Valet parking. Up to 66% of drivers say they allow themselves to drive while distracted in a parking lot. This puts not only your customers at risk of a car accident but also your company property. Valet parking with custom valet tickets can keep your customers and employees happy while reducing auto accident risk. What's more, valet parking immediately boosts your business' status in the eyes of your customers, which will increase your revenue later on. Green space. Drivers often park by trees not just so they know where they parked but also because it provides shade during the summer months. Consider planting a few small trees in the grassy areas around your parking lot. Flowers and other plants can also help to boost the appearance of your parking lot. Smooth driving. Nothing says "I don't care about my customers" quite like a slew of potholes. 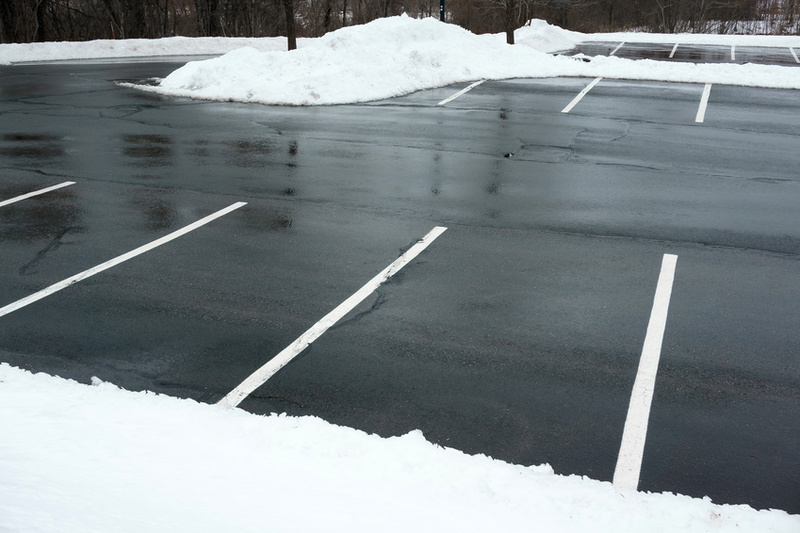 Make sure that you're maintaining the pavement of your parking lot, especially with spring fast approaching. Once the snow melts, any road-related issues with your parking lot will be noticeable. Pedestrian safety. Be sure that your parking lot is not only dedicated to the drivers, but also the pedestrians. Include plenty of crosswalks, not just one, so you can be sure your customers are safe getting from the parking lot to your business. Where can I find valet tickets for businesses? Nothing says class quite like custom valet tickets for your business. Valet Tickets offers customized valet parking tags for your company so your customers always know who's providing them with great service. To learn more about our valet tickets for businesses or for information about our valet ticket templates, contact Valet Tickets today.